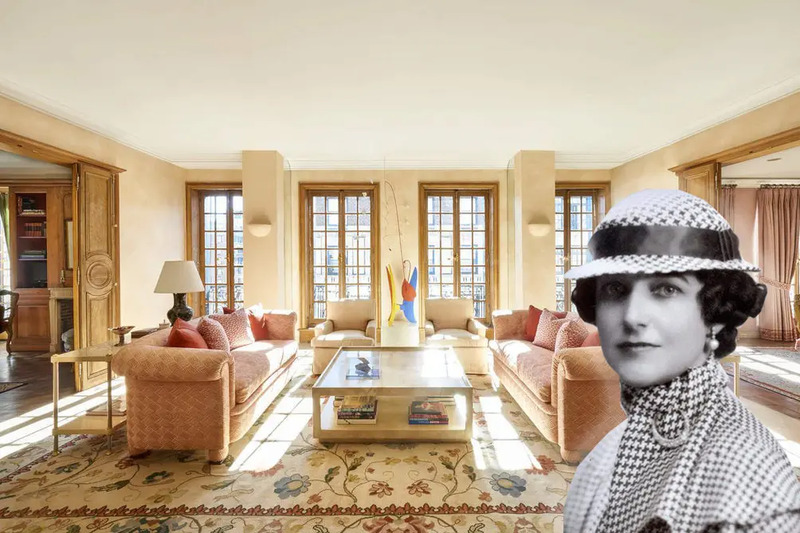 All images of 840 Park Avenue #11A via Sotheby's, Photo of Dorothy Draper courtesy of Dorothy Draper & Company Inc. 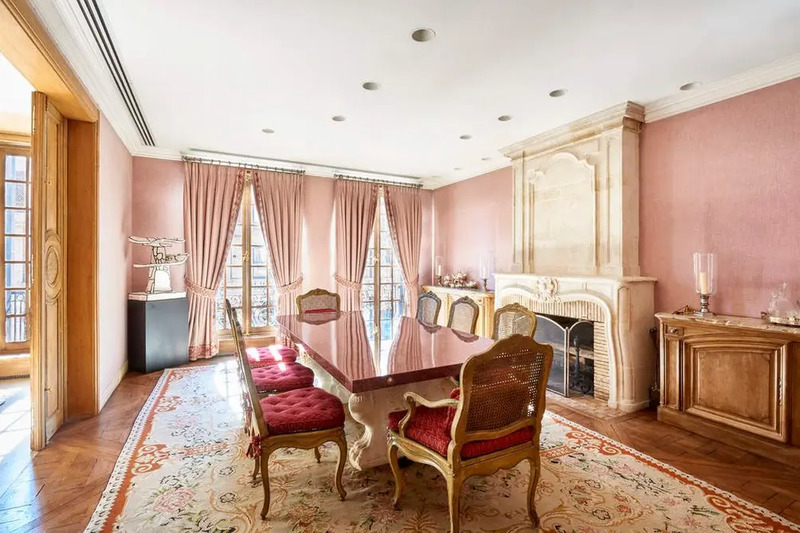 Originally listed in October 2017 for $5.795M, 840 Park Avenue, #11A is now offered at a 40% discount (!) at $3.475M. 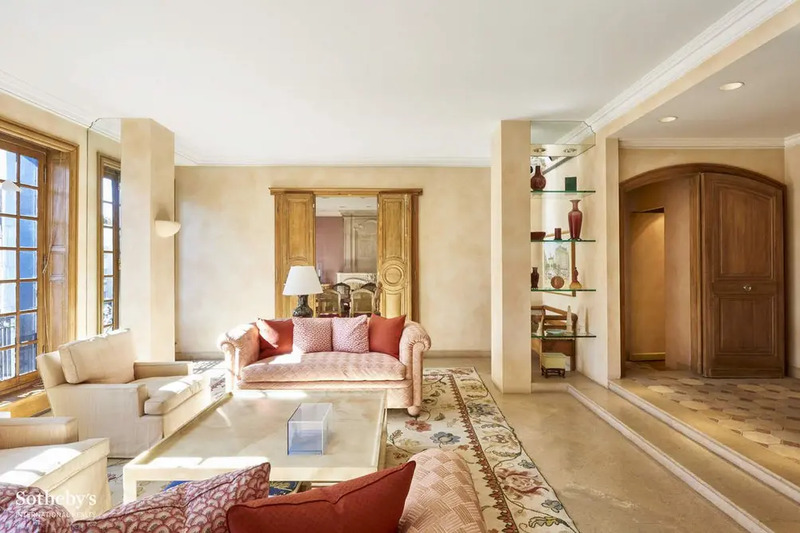 Formerly owned by the path-breaking interior designer Dorothy Draper, this sunny 6-room pre-war apartment, with approximately 2,450 square feet of interior space, a great layout for entertaining and living, and open east, south and west views. In 1923, Draper was the person first to professionalize interior design by establishing the first interior design company in the United States, Dorothy Draper & Company. This was not only path-breaking for the industry, but it was also quite extraordinary for a woman to launch any kind of business in the early 20th century. 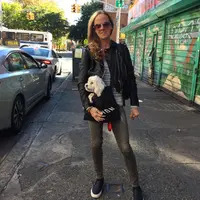 Draper’s style, which was often referred to as whimsical, was called “Modern Baroque.” She loved color and was always “pushing people to think outside the beige box.” Black-and-white checkered floors, bright colors, and ornate moldings became her signature. She wrote a book called, Entertaining is Fun! : How to be a Popular Hostess, which extended her decorating philosophy to hosting and demonstrated that living well never goes out of fashion. Perhaps #11A's present-day peach and pink walls are a nod to Draper's influence. 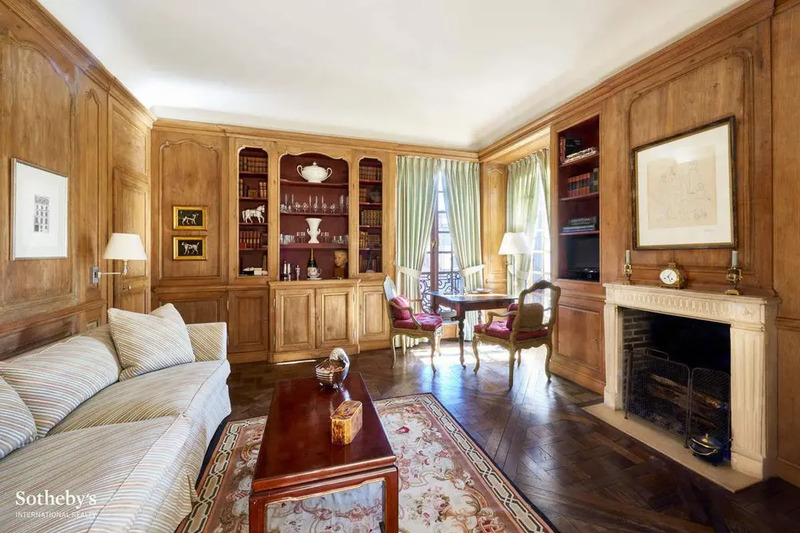 The co-op is a two-bedroom corner home that features an elegant living room, library, and formal dining room with dramatic, original full-length French windows with imported brass hardware. There are also romantic Juliette balconies in almost every room and wood-burning fireplaces in the library, master bedroom, and formal dining room. 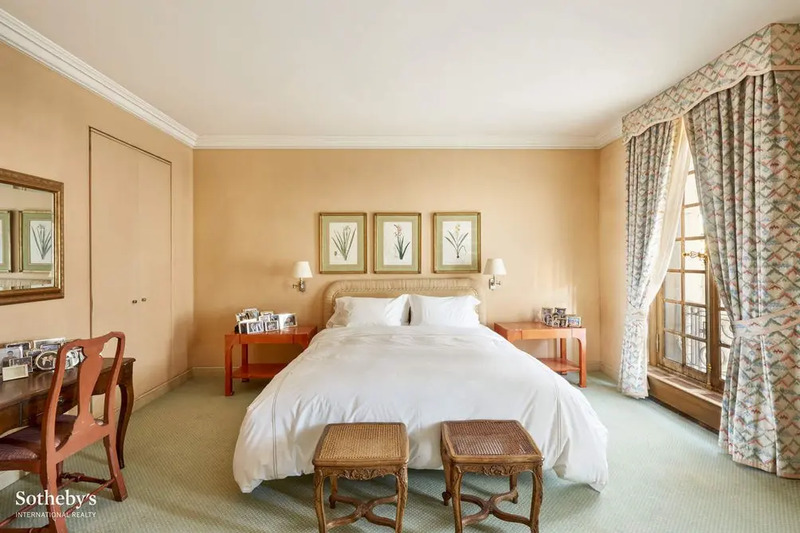 The private master bedroom suite has custom closets, an old-school dressing room and sun streaming in through the French windows in the master bathroom. 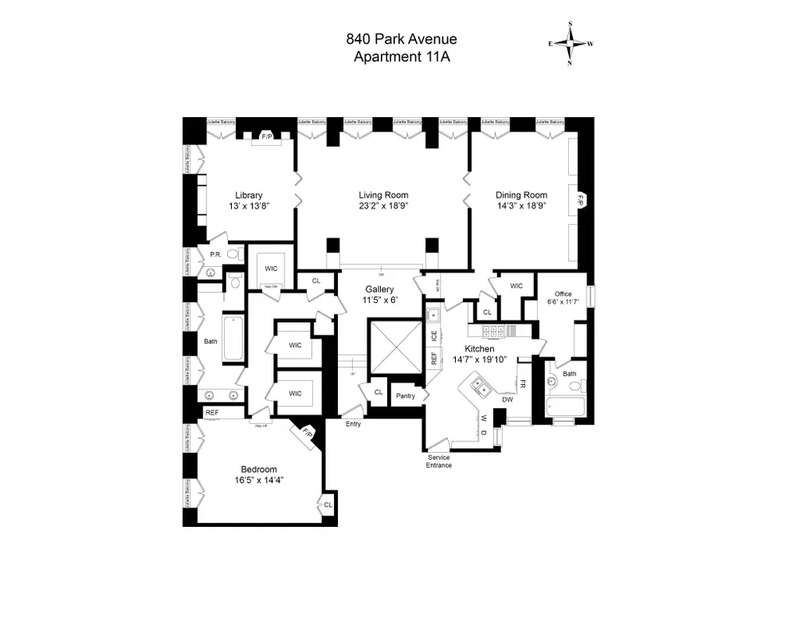 840 Park Avenue is a luxury, full-service doorman building on the northwest corner of East 76th Street. It was built in 1912 by George and Edward Blum. There are currently no other units available in this building.